I didn’t know if I was going to like Titanic. I loved it when it came out; I saw it twice in the cinemas, and my parents wisely pre-ordered it on VHS from Target. When I tell people how many times I’ve seen it, I keep to the lower end of my estimate range (around 40 viewings) because if they were to hear how many times I actually think I’ve seen it (80-100), it would just seem like a blatant exaggeration. But aside from a couple of late night drunk-brilliant ideas where I’ve decided to watch it and fallen asleep (read: passed out) by the time Jack first spots Rose, I hadn’t seen Titanic for somewhere between five and 10 years (you may have noticed I’m not very good at estimations). Upon hearing about my excitement at seeing it in 3D, my workmates said, ‘you just don’t seem like the kind of person who would be into a soppy love story’. And that’s because I’m not; my tastes have largely (and thankfully) changed since 1997 but I figured that the nostalgia would get me through the three hours regardless of how much I did or didn’t enjoy the film. And Leo, of course. One aspect of Titanic that I’d managed to take note of prior to again seeing it in a cinema, even in my semi-conscious states, was that the people seen on the ship in some of the early shots panning over the decks now look obviously computer-generated. This is a rather fascinating example of how our perception changes with technology, but one that I’m not equipped to explore beyond simply stating that I had expected to have the same reaction throughout the rest of the film. To my surprise, however, most of the film’s special effects are just as powerful and life-like as they were in 1997, enhanced of course by seeing them in 3D. Even more enhanced apparently was my capacity to cry. As a nine year old, I shed a tear or two when Jack died. As a 23 year old, I was somewhat moved by his death, but I was overwhelmed with the realisation that this actually happened. Thinking of the panic, the fear, sitting in a lifeboat nearby and watching such a huge ship sink, and hearing the screams and cries subside and realising it was because so many had died. Beyond the real-life horror of it, I could recognise criticisms that have been levelled at James Cameron’s script, particularly the poor dialogue. But I actually found it more nuanced upon reflection than I had thought, particularly when delivered by such impressive actors, though this was at least partly because so much went over my head as a kid (Ruth making a point of Jack’s lower class status at dinner, and Cal encouraging Rose not to “deny” him, for example). Even with a running time of over three hours, it’s impossible to fully explore themes such as class, obligation, and women in the 1910s alongside the central love story, but Cameron looks at them with appropriate care without getting distracted. 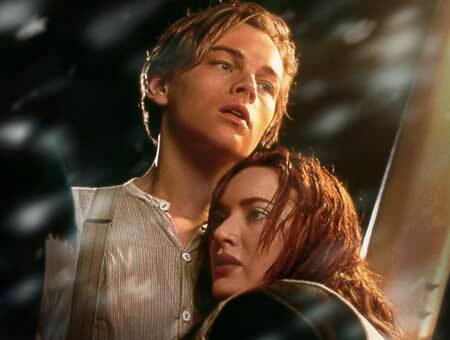 And granted, I didn’t know what a character arc was 15 years ago, but I did have a new appreciation for the fact that Jack and Rose both, well, had them. The only point that I could take issue with is that Rose credited Jack with saving her, ‘in every way that a person can be saved’ (though it’s certainly worth noting that Jack told her only she could do that). I might ordinarily have a problem with this kind of white-knighting, but given the context (a smart survivor vs a sheltered [non-]heiress), it made sense. When I was nine, I loved Titanic. At 23, I still love Titanic, possibly even more so now that I understand it that much better. The re-release of films in 3D is obviously at least partly motivated by capitalising on people’s nostalgia, but if any director should make any movie into 3D, it should be James Cameron and Titanic. Seeing Titanic in 3D was admittedly a tumultuous afternoon, with tears and feelings of distress both in abundant supply, but it was nonetheless one well spent. And perhaps I’m just a sucker for punishment, but I did it all over again four days later. This entry was posted in Film and tagged james cameron, nostalgia, titanic. Bookmark the permalink.